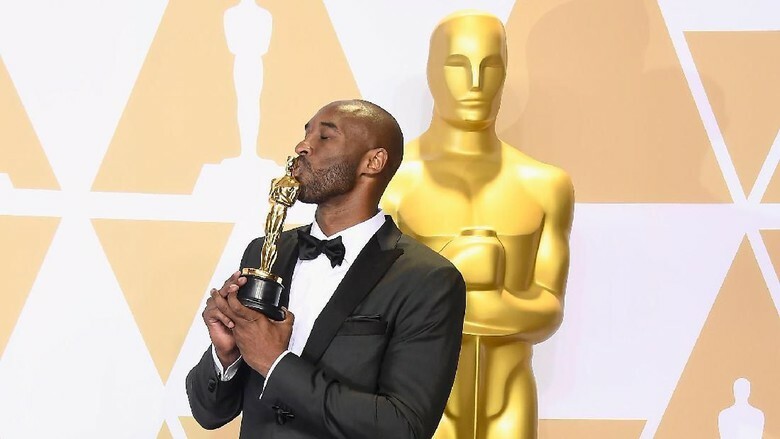 Kobe Bryant has just become the first athlete to win an Oscar. He claims that achievement is more special than the NBA champion. Kobe surprisingly won the Animated Short Film category in the 2018 Oscar through the movie 'Dear Basketball'. He produced the film with Greg Keane. After about two years ago retiring as a basketball player, Kobe showed off another talent he had in another totally unrelated world. In basketball, Kobe is practically getting everything: 5 NBA championship rings and two Olympic gold medals. After a great success in basketball, Kobe apparently won a better Oscar award than an NBA champion. "If you have to be honest with you, this feeling (winning an Oscar) is better than the NBA champion," he told E! News. "As a kid, my dream is to become an NBA champion and work very hard to make it happen, but then having something like this seems a bit off the beaten track." 'Dear Basketball' is actually a letter written by Kobe to be published in Platyer's Tribune. The article later developed into a movie idea when Kobe worked with Greg Keane, who has a record track for making short animated films. "Many people say when I start writing and then there is another question what to do if I retire I always say I want to be a writer and a storyteller When people respond: 'very funny, you will be depressed when the career ends and come back to play' . " "I often hear that so I can be here (Oscar award) and make the proof, it feels very crazy," Kobe said. 0 Response to "Kobe: Oscar Win Better Than NBA Champion"